When you think of PC audio you probably don’t think of Creative. You will, however, most likely think of the classic Sound Blaster brand, particularly if you’re a certain age. 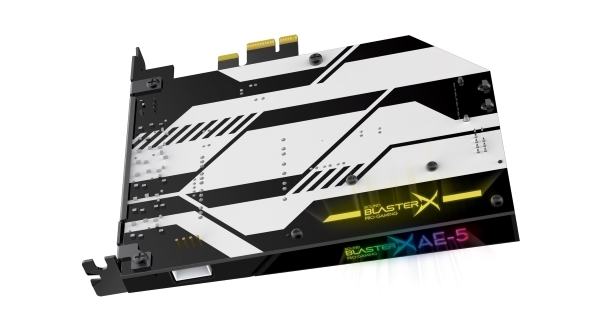 Creative’s Sound Blaster heritage is inextricably linked with PC gaming, and this year they’re celebrating the 30th anniversary of the sound card with their shiny new AE-5 board. Audio needs visual or the whole A/V thing falls down, so we’ve picked the best gaming monitors for your eyeballs. The problem for Creative is that you don’t need a discrete sound card in your PC to enjoy your favourite games. Of course, you don’t actually need a six-core CPU, or a $500 graphics card either, but they’re still objects of desire in a way that audio hardware simply isn’t. That’s because it’s a lot easier to get across increased performance in productivity apps, or higher and smoother frame rates in games. Showing the benefits of a drastically improved aural experience is a much tougher gig; just ask any A/V journalist trying to explain the benefits of a $25,000 speaker over a little Sonos. 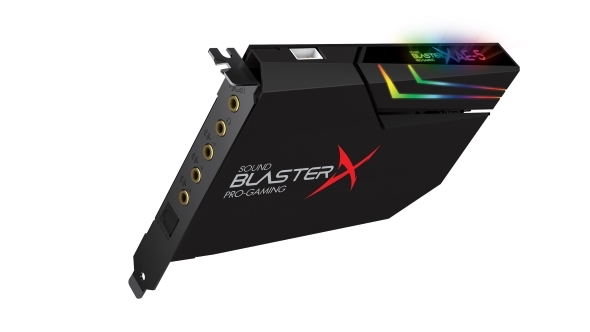 But that’s what Creative are delivering with the $155(£114)Sound BlasterX AE-5. Yeah, that’s a fair chunk of cash, and a bit of a sticking point too. The price of sound cards ensure they remain a niche proposition for only those gamers with a penchant for great audio. You really shouldcare about the audio your PC is producing, however, as it can affect you in a much deeper way than pure visuals alone. It’s rare that particularly well rendered textures have my arms turn into gooseflesh, but great game audio can get under your skin in a far more subtle way. A well-rounded gaming soundscape, like The Witcher 3’s, for example, reproduced by great audio hardware makes for an incredibly immersive experience. That will give you a sense of place and presence that a flat screen in front of you will always struggle to achieve. That’s down to the discrete headphone amp installed in the AE-5. The Xamp contains two separate amps for the left and right audio channels, ensuring that no matter what’s happening on-screen the audio is delivered perfectly to each ear. It’s also rocking a SABRE digital-to-analogue converter (DAC), which makes it ideally matched for the demands of hi-res audio too. I’ve always been a bit of an audio obsessive, and have been runng an old Creative X-Fi Titanium HD sound card for years. That’s now been replaced with the AE-5. I personally didn’t think I’d hear much difference, because I hadn’t really thought audio tech in PCs had moved on, but there is a definite clarity to the AE-5 that makes it a winner. The broad, natural soundscape it’s capable of delivering is hard to beat, too. 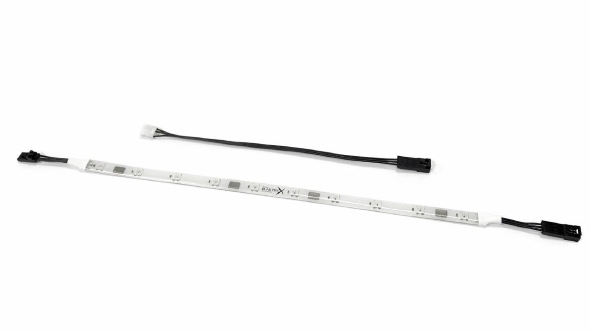 The issue, as ever with audio hardware, is that you need a great end-to-end solution. There’s no point dropping $155 on a discrete sound card to pair it up with your $15 headset from Walmart, but if you want to take your first steps down the high-end audio rabbit hole then grabbing a set of cans with a broad frequency range (something wider than the traditional 20Hz – 20MHz range) will make a huge difference to your aural experience. I lost a good deal of time testing the AE-5 flipping through the master-quality recordings on Tidal. Having found my favourite Nick Drake albums, as well as the latest from Childish Gambino and The War on Drugs, all streamable in lossless, studio master quality, I completely forgot what I was doing and utterly lost myself in them for hours. Such is the power of high-quality sound. It’s not all perfect, though. The AE-5’s software can have some odd, unintended consequences if you forget to shift away from the gaming-focused audio presets before listening to music or watching a movie on your PC. When the Creative software starts to try and be, well, creative, you can end up with vocals disappearing down some muffled hole, or weird electronic distortion creeping into the edges of your audio. 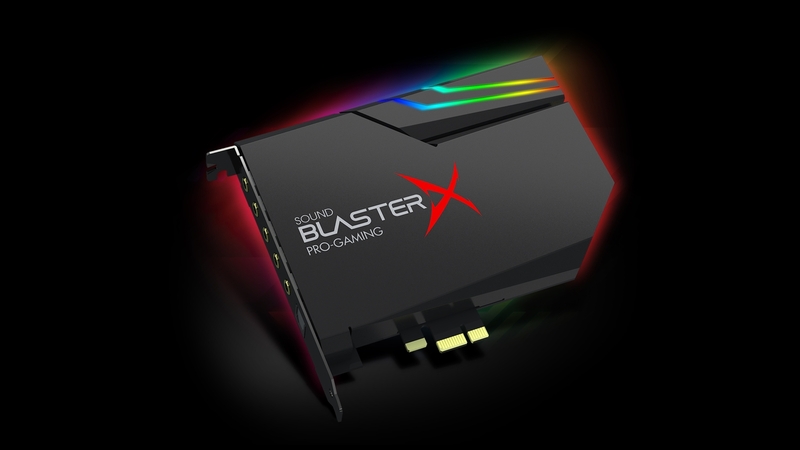 Last and, most definitely for a sound card, least is the visual side of the new Sound BlasterX card. Creative are trying to cash in on the industry’s RGB LED obsession by adding a whole bunch of strobing, sweeping lights and an LED controller to the board so you can run your RGB LED strips from your sound card. Because that’s not weird at all. But it’s unlikely any of this will matter to you as you read this. I’m probably not going to be able to convince you that what I’m hearing can really be any better than the quality your machine is capable of funnelling down your ear holes. After all, spend a while listening to a tiny, tinny Bluetooth speaker and you’ll barely notice the ropey audio reproduction, so why pay $155 for some dedicated audio tech? Your motherboard’s got shielded audio components anyways, right? Sadly, you won’t know until you actually try it yourself and experience higher-quality in-game sound. That might sound needlessly superior, but it’s genuinely the only way to hear what you’ve been missing out on. You don’t needa sound card in your gaming PC, but devs put a whole lot of work into the audio side of your favourite games, so you’re missing a whole level of immersion if your sonic hardware is lacking.